Is it named Mt Tamborine, Eagle Heights or Tamborine Mountain? Sometimes visitors are confused about the naming of this hinterland region of the Gold Coast. Eagle Heights was originally a suburb of the area famously known as Tamborine Mountain. Other suburbs in the region included North Tamborine and Mount Tamborine and all are located on the plateau of Tamborine Mountain. Gallery Walk is also a famously known location within the region, but it’s not registered as an official suburb. Gallery Walk is a popular name for the section of Long Road in what was known as Eagle Heights. Still confused then guess how we feel. Modern methods of communication with GPS, postal codes, and the internet forced the need to simplify the naming of the region. After consultation with residents and businesses it was decided to remove the official names of Eagle Heights, Mount Tamborine, Mt. Tamborine, and North Tamborine. The entire region is now simply named Tamborine Mountain with a single postal code of 4272. Trends and cultures still keep the old names alive. Many new residents and visitors still know the area as Mt. 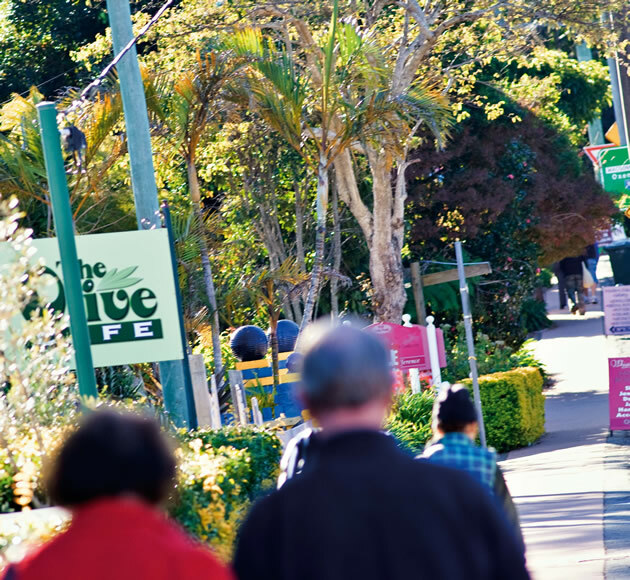 Tamborine, while many locals will still refer to areas as North Tamborine, Mount Tamborine, and Eagle Heights as a means of defining specific locations of the mountain region, and the confusion is likely to continue for quite some time. Amore B&B accommodation Tamborine Mountain is actually located in what was formerly called Eagle Heights. It is just metres from the popular zone named Gallery Walk, being on the same street as Gallery Walk, which is Long Road. Amore B&B is only about 3 doors from the main intersection of Gallery Walk and is right in the Gallery Walk precinct. Amore B&B’s Tamborine accommodation is the most convenient location if you want to stroll to shops, restaurants and still be able to walk to the National Parks, waterfalls and explore the region. Phone Amore B&B today at 07 5545 2330 to arrange your accommodation in Gallery Walk or visit our booking site now. Amore BandB – Tamborine Mountain Accommodation If you would like to speak to a real person about Tamborine accommodation give Kay or John a call, your hosts here at Amore B&B in Tamborine Mountain formerly referred to as Amore B&B in Eagle Heights on Tamborine Mountain.